Quewey, an online community of verified experts sharing quick, reliable answers to business questions, today announced its private beta launch. Invitations are available to the first 1,000 qualified users who sign up at http://www.quewey.com. Unlike traditional Q&A sites, Quewey uses the LinkedIn API to ensure the professional standing of its contributors. Visitors can easily reference an expert’s background and cite their answers, offering complete transparency into sources. A simple click on any question or answer will reveal the author’s full resume and Quewey activity. If more specific information is needed, visitors can use Quewey’s knowledge network to speak directly with a subject matter expert for a per-minute charge. Anyone can apply to be a personal consultant on the site. Admittance is strictly based on the value the member adds to the Quewey community via their professional and academic background and quality of on-site activity. Quewey manages the entire work flow for its personal consultants. From lead generation and scheduling, to call logistics, payment processing and client review, all steps are managed and made secure through the Quewey platform. From callers to consultants, Quewey does everything for its members, allowing them to get the right information directly from the source, or to monetize their expertise. There are countless ways to use Quewey’s knowledge network. From first time entrepreneurs looking for advice on how to start a company to a principal investor conducting due diligence, a professional looking to manage their brand or a student in search of career guidance, Quewey delivers reliable business answers at a price people can afford. Founded by Matthew Safaii, Quewey is an online community of verified experts sharing quick, reliable answers to business questions. The company is based in Philadelphia, Pennsylvania. 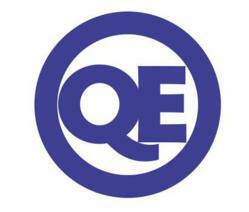 For more information, please visit http://www.Quewey.com.